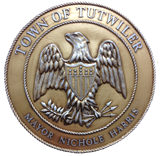 Mayor Nichole Harris is one of the only two women and the youngest to hold Tutwiler, Mississippi’s highest elected office. She is currently serving her first term as the town’s chief executive officer, where she is responsible for all aspects of general management. Before taking office in 2013, Mayor Harris served as an educator for many years. While performing her job as an educator and maintaining high test scores, Harris has served on several committees for educational advancement and instruction throughout the state of Mississippi. Through a passion for education and serving others, Mayor Harris is driven to make sure that the children in her community are educated, healthy, and safe. 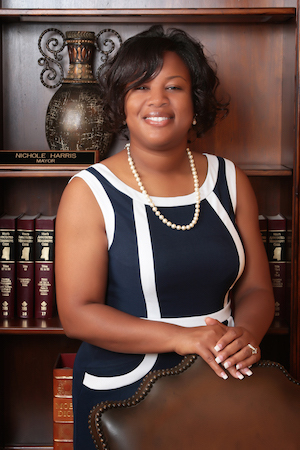 Nichole Harris is a mother, educator, coach, veteran, mentor, community organizer, and the Mayor of Tutwiler. Wanting to help others ignited a passion in Harris to become a public servant. She may wear several hats, but she credits her success to her love for people and her commitment to improving the welfare and lives of citizens in her community. Harris’s life changed when she stopped teaching for a year and worked at a local community center. She watched the same students she motivated to graduate from high school walk around the community not enrolled in college or still unemployed. She recognized the community had transportation issues and a lack of jobs. She wanted to work on solutions for these issues and others that were stopping her community from making progress. Mayor Harris also feels that job creation and safer communities are essential to keep the younger generations from leaving our communities for better ones. Born in December 1978, Harris is a 1997 graduate of West Tallahatchie High School. Mayor Harris is also a graduate of Mississippi Valley State University (MVSU), where she received a BS in Biology and a Master of Arts in Teaching. Nichole is also a member of the YEO network, a network of young officials elected under the age of 35. Harris is also a member of Delta Sigma Theta Sorority, Inc. Mayor Harris has two daughters Tayia Hayes and La’Zarreia Hayes.